The Nikon D850 is here it is spectacular. I’ve been lucky enough to have a full production model since the cameras UK press launch. So, if you follow me on social media, you may have seen me posting a few tweets and Instagram stories about it over the last week or so. However, I held off on this D850 review until I’d spent a little more time with it. And yes, as I know it’s going to be something a lot of you want to see, there is a genuine low light example comparing the D850 to the D810 at ISO 25600. The difference is quite extraordinary! EDIT 2nd Sept: Additional real world ISO 20,000 image also added. First things first. This is a very special camera, offering high speed, resolution and ISO. Where previously we’ve always had to compromise on having high resolution or speed, we now have high resolution and speed. Plus, there’s a ton of other extras. Totally silent shooting in Live View, the best autofocus system available, improved metering, more energy efficient for longer shooting, focus peaking in Live View, focus shift for stacking macro images and so much more. It’s fair to say DSLR boundaries are most definitely being pushed. On that note I also realise the title of my D850 review makes a bold statement. Given it not just trumps the D810 it replaces but also borrows attributes from the flagship D5 and D500, as well as bringing features not seen anywhere else before, it’s not one I make lightly. D850 vs D810 vs D500 body design changes. An ergonomic triumph. I’ve long been a fan of Nikons ergonomics and the D850 is the latest evolution to demonstrate how carefully considered they are. Not only is the design sleek and modern but it feels just as good in the hand as it looks. Only 3 years older, the D810 really does show its age when sat side-by-side both its replacement and the more recent D500. The Nikon D850 flanked by the older D810 and more recent D500. Whilst it’s a D810 replacement, it was obvious this new full framer would favour the form factor of the more ergonomically designed flagship DX and Nikon certainly haven’t let the D850 down there. We now have a body design that’s far more akin to the D500 but it’s not entirely a direct copy, with a couple of small tweaks being added to further improve handling. Not least is the 0.75x magnification of the viewfinder, contained within that beautifully sculpted pentaprism housing. Looking through it with an f2.8 lens, subjects have never appeared bigger and brighter, offering the best viewfinder experience of any previous DSLR. This extra magnification in the viewfinder also makes shooting in crop modes easier, as the cropped area is larger than ever before too. Taking things further, the D850 also allows you to mask off the viewfinder to make using these modes even more user friendly. If you do choose to shoot in DX, or any of the other crops, the masked area translucent enough that you can still see what’s happening outside of the active image area. This will enable finding subjects with very long focal lengths, and narrow fields of view, easier. Additionally, also making it easier to follow subjects within the active area. EDIT: I wasn’t aware masking was possible with D700, D800 and D810 if AF point illumination was turned off. With the D850, there is a specific menu option to turn on masking, missing from other models. With the D850, AF point illumination is retained. Physically the D850 is thinner than the D810, making the front grip deeper. Switching between the two, the older model suddenly feels very bloated and the grip very shallow. The D850 is also fractionally taller and heavier than the D810, being further emphasised with the new MB-D18. Weight aside I’ve found the ergonomics, body shape and that deeper grip to offer a much improved user experience. This is especially true when paired with larger lenses such as my 400E FL. I often hand hold this lens rather than opt for carrying a tripod around, so balance and handling is always a valuable trait. That deeper grip offered immediate and noticeably more secure handling, which is very welcome. What has been ignored from the D500 body is the placement of the front function button. On the flagship DX it’s quite far from the depth of field preview button, making it a little harder to reach. With the D850 it’s been kept in the same, easy-to-reach, position as the D810, right below the Pv button. Whilst that might seem like a small thing, if you customise your function buttons, placement of them is crucial. Attention to detail like this show just how much ergonomics have been carefully considered. Nikon have clearly thought every part of this camera through. Bringing support for the SB-5000 radio flash guns (using the WR-T10 transmitter), the pop-up flash is gone which adds a more robust and solid feel to the body. Whilst that might be missed by some, I’m more than happy to trade the flimsy pop-up flash for the more robust and weather sealed flash-free housing. Along with the flash, we also lose the AE Lock button. It’s a button I used quite a bit on the D810 but much like the D500, it’s an easy fix by simply programming the centre press of the nearby joystick to function the same way. The rear houses the now familiar tilting high resolution screen from the flagship DX model. Those of you used to an ever increasing Retina screen workflow will appreciated the higher resolution on offer as it’s a significant step up in quality from the D810’s lower resolution screen, with which playback of images suddenly looks far less detailed. The screen also offers full touch controls for all menus, with menu graphics being slightly redesigned with new ‘back’ buttons and arrows here and there to accommodate easier navigation. I’m a huge fan of tilting screens now and find them especially useful when either setting up low level camera traps, saving me from pushing my face into the ground to frame up and, when I need to get the camera low with a telephoto lens, but being able to lay on the ground isn’t practical or possible. We also gain the small D500 joysticks, additional lower left function button at the rear and other subtle changes such as swapping the ISO and Mode buttons around and giving us backlit buttons at the rear. Storage follows the lead of the D500 too with both an XQD and a UHS-II SD card slot. The former being ejected with a more secure feeling push button rather than the more familiar press-in-to-pop-out removal method of the D500’s XQD card slot. The D850 really does sit perfectly in the hand and, as you make your way through this review, you’ll see from the various close up images that the body features no unnecessary bumps or lumps. It’s perfectly sculpted where it needs to be whilst being and sleek and clean everywhere else. The new focus shift shooting menu, and new menu ‘back’ button for touch operation. 1) Focus is locked to the first frame if you fire a burst of 6 images. This stands to reason as the screen goes black during that burst because the sensor is being turned on and off quickly to capture the images. 2) Using Live View will subject photos to the same rolling shutter effects as video. Finally, if you opt to use the faster silent mode of 8mp jpegs at 30 frames per second, you get a 3 second count down timer whilst you’re shooting. 3 seconds might not seem like a lot but keep in mind that’s 90 images! Because the mirror and shutter only need to go up and down once, when activating and deactivating Live View, the other advantage to shooting with the electronic shutter is you’re saving the life span of the mechanical one (the same is true of shooting time-lapse, which is also compatible with the electronic shutter). From a wildlife perspective, this makes silent shooting far more suited to use in hides, with very sensitive wildlife or static action, rather than on the move trying to keep up with erratic subjects. It also means there is no mirror slap to contend with when using slow shutter speeds with long lenses. Another welcome feature not seen since the D700 is the gain in speed offered from adding a grip. Pair the D850 with the new MB-D18 and not only do you get better handling and controls for vertical shooting but also, with the addition of the D5’s EN-EL18b battery, an extra 2fps. For long lens shooters and wildlife photographers, grips are almost an essential purchase, so it’s a great bonus that doing so now offers more value than ever. In appearance, the new MB-D18 grip for the D850 is virtually indistinguishable from the MB-D17 of the D500. Gone is the oversized locking wheel from the MB-D12. Instead we gain the better control layout, joystick and function button of the MB-D17. By adding the XPEED 5 processor from the D5 and D500, Nikon have made the D850 incredibly energy efficient too. This means a single EN-EL15a battery can give you over 1800 shots per charge. The bigger EN-EL18b providing up to 5140. Combined, that’s the potential for around 7000 RAW files of 45mp resolution, at 9fps. That means I’ll no longer need to take battery chargers on short duration trips. In fact if I was being really brave, I’d not need to take a charger for even longer trips either. On our latest Migration Photo Safari I shot around 2500 frames in 3 weeks. Maybe just a spare battery would suffice. With its all new, Nikon designed, backside-illuminated, 45mp sensor the D850 pushes out full frame files with dimensions of 8256 x 5504 pixels, versus the 7360 x 4912 of the older 36mp D810. On a 64gb card, with image quality set to 14bit lossless compressed, that allows for roughly 600 RAW files to be stored or around 730 in 12bit. As we know by now, it’s not the resolution that impresses with the D850. The show stopper is the speed in which that resolution is captured. Whilst there are faster cameras and higher resolution sensors available, no other DSLR has come close to so perfectly combining these two attributes. Offering this resolution at up to 9 frames per second requires a lot of computing power. The D850 certainly shows some serious muscle here too. Whilst I’ve yet to legitimately shoot an extended burst of images, there are very few times I’ll needed to shoot for longer than 2 or 3 seconds at a time. Using a Sony 440mb/s G series XQD card that means I’ll comfortably never hit the buffer of the D850. A single 45mp image gives just the briefest flicker of the green ‘writing to card’ light whilst a burst of 20 lossless compressed 14bit RAWs see’s the green light turn off after around 3 seconds. With an XQD card, this camera is shifting a lot of data, fast! If you do find yourself with a wildlife encounter that requires extended shooting, hitting the buffer drops the frame rate to around 1-3 frames per second. Crucially though, the D850 simply never stops shooting. Those of you hoping to drop the resolution to get extra speed out of the camera will find doing so makes no difference. Nikon have clearly built the D850 to be optimised for full frame, high resolution shooting. As suggested, it’s performance is tailored to place it between the D810 and D5, within the DSLR hierarchy. Any fast in DX mode and it would be encroaching on the D5, as well as the D500. Just how good the Multi-CAM 20k focusing system from the flagship D5 and D500 is, has already been well documented. For a quick catch up of the essential highlights, it offers 153 autofocus points, with 99 being cross type and has sensitivity down to -3EV for all points but the centre, which is -4EV. What does that mean in practice? Aside from better acquisition when using teleconverters? I was shooting with the D850, 40 minutes after sunset, at 1/30 second, f2.8, ISO 25,600 and I was still just about able to lock focus on my subject. Whilst shooting in almost darkness doesn’t really bode well for the images themselves, not least because subject motion is impossible to avoid, it’s an impressive demonstration. The sensitivity of the system allows for acquisition in very low contrast. D850 image quality, the extra stop of high ISO is justified. What good would all this resolution and speed be if the image quality wasn’t up to scratch? Before I talk about image quality there is one point I need to mention. Because I have been given the Nikon D850 ahead of worldwide release, there is no official RAW support yet. As a result I’ve been shooting in RAW + JPG, and editing the latter. As such, I will either follow this review up or, update it once RAW support is available. It’s not something I would ordinarily do, as it makes for an incomplete review. Unfortunately that’s the caveat to working with a camera ahead of its official release. An extra stop takes native ISO to 25600 from the D810’s 12800. Despite not being a fan of lab and set scene ISO tests, I did take a couple of staged shots. Knowing everyone wants high ISO examples, I shot these after sunset. For me this is a better way to assess real world need for ISO performance. In the case of the wooden owl on my shed, I shot the D810 in RAW + jpg too. This side-by-side is a direct comparison of out of camera jpegs. They were fed into Lightroom for NR and exported out. Both were taken with identical settings for exposure, white balance and picture control. I then resized them both to 1000px wide and put them next to each other in Photoshop. As you can see, the difference is quite apparent. At this early stage it clearly demonstrates how much better the D850 performs at the upper end of the ISO range. The 100% crop further below emphasises that even more. Oh and by the way, with the D810 I could only focus on the owl with the centre focus point whereas the D850 would lock on with any. I would rarely push the D810 above ISO 6400. As a general rule, I typically stay one stop below native maximum with any camera. Yet, I can already see that from 6400 upwards, there is far better control of noise with the D850. I’d actually not photograph wildlife at 1/100 generally as subject motion would be an issue. So this really was a worst case scenario for the upper ISO limits. This one simple test tells me I’ll be comfortable shooting at 12,800 on the D850, and higher in the right conditions, such as average light where I need a larger depth of field or faster shutter speed. What is very clear, even at higher ISO, is just how well sharpness, colour and detail is retained. Nikons new 45mp sensor paired with any of the more recent optics provide optical nirvana. These early shots already show that there is no doubt the D850 will perform in low light, with correct exposures. By the time you read this review I’ll already be on my way to Slovenian forests. I’ll be photographing the European Brown Bears and putting the D850 through some meaningful low light shooting. My experiences of which will be discussed in due course. I’ll also be tweeting and doing Instagram stories whilst I’m there, so keep an eye on those if you want more regular updates. EDIT 2nd Sept: At the time of adding this, I’m still out in Slovenia but here’s a quick image. Taken on my first session with the bears. Using a fast shutter speed with high magnification as the bears rarely keep their heads still. Still only an edited a jpeg for now but certainly gives an indication of real world high ISO requirements for wildlife. Why the D850 is, to me, the best wildlife photography camera ever made. With all of the above considered, it simply comes down to one word. Flexibility. If you’re familiar with my work or blog you’ll know I hold the D810 in very high regard. In my retrospective article, looking back at my favourite Nikon cameras, I said the D810 was my favourite DSLR ever. I owned two of them because I liked it so much, preferring the ease of shooting with identical cameras. I then added a D500 to my bag to fill the speed gap left by the D810’s. I’ve always held that in high regard too and still think the D500 is the best general purpose wildlife camera available. However adding that to my kit list reintroduced the annoyance of having two different cameras with different strengths and weaknesses. The problem is you always have to decide which camera to use and with what lens. This can, and does, lead to missed opportunities. Either from not having time to switch bodies back and forth or not being able to. Changing bodies in adverse weather or a dusty truck in the Maasai Mara isn’t always practical, for example. Even times I simply only want to take one body on a casual shoot. When it comes to what kit is in the camera bag I find the fewer choices you have to make, the less chance there is of missing the moment. I already know at these early stages that having such a complete and flexible camera is going to result in far fewer missed opportunities. Whatever the scenario, I know I’ll always have the right camera to hand. If you decide to add a D850 to your camera bag it means you can capture stunning, richly detailed, full frame images that translate into breathtaking large prints. Or, you can afford to crop into your images even more, to aid the composition of more distant animals. That will come in handy when there isn’t time to add a teleconverter or you can’t afford to lose light. And with the improved ISO range, that means shooting in even lower light than ever before. None of that is in itself overly new. Being able to do all this with one camera for both static or fast moving subjects and action, is. Add in silent shooting, tilting screen, improved focus system, better weather sealing and everything else on offer and there really has never been a more capable camera for wildlife photography. The big question…should you upgrade your D810 to a D850? Those that know me will know I’m not one to push a camera upgrade for no reason. You need to know where your current kit is letting you down or under performing for you. I will say, in my opinion, the D850 is a substantial leap forward from the older D8xx generation. You’ve read my reasons and highlights above and that hasn’t even touched on all the finer details. Not least the 4k video and time-lapse (although I always assume stills are a priority for the majority of wildlife photographers). Make no mistake, going from a D810 to a D850 is a much larger upgrade than the D800 to D810 ever was. Even considering all that, if you’re unsure if the upgrade is for you, it comes down to this. Do you find yourself regularly wanting more speed, better low light performance or more reliable autofocus, especially with teleconverters? Judging by the amount of wildlife photographers I know who also added, or have considered adding, a D500 to their bag I’d say the answer for a lot of you, is yes. If you currently shoot with both of those cameras or have one and were thinking about adding the other, the D850 is the answer to your problems. Of course the cost of adding it to your bag will vary depending on what you currently own. I’ve had a few comments sent my way already about the price of the D850. Consider this though, to even come close to matching its performance you need the D810 and D500. At the time of writing, to own both of these costs roughly £4826 with their respective grips. Compare that to the approximate £4241 it would cost to buy a D850 with grip plus EN-EL15a battery and charger. Whilst that doesn’t entirely help those of you that already have one or the other of the former cameras, it does justify the higher cost. When you step back and look at the bigger picture, price wise the D850 falls perfectly within the current line-up. For those of you shooting with lower end kit who’ve been considering their first substantial upgrade. It’s a simple answer, if you want a camera that covers all bases without any substantial compromise, it really doesn’t get much better than the D850. Summing up, with a little perspective. As you’ll have guessed from reading through my D850 review, I think it’s a phenomenal camera. It’s not just me who thinks that either. The internet is full of incredibly impressed people who’ve already had a hands-on. In fact, I don’t remember the last time a camera stirred up this much excitement. The exception being the release of the D3. When its then-new FX sensor revolutionised high ISO image quality. If I was pressed to find something we didn’t get but I’d have liked? Dual XQD and maybe less weight (only because the incredibly light D500 has spoilt me a little). That is being very picky though, because there’s nothing else I can fault the D850 on. Nothing. It’s very rare a manufacturer releases a product that doesn’t just exceed expectations but smashes them. For me and my shooting needs, that’s what Nikon has done. They’ve produced a camera that will make capturing wildlife images less compromising then ever before. Given how flexible the D850 is, I dare say these sentiments are being echoed by photographers of other genres too. D500 – excellent all round performer with speed and high ISO. Crop factor can make it harder to shoot wider views. Wide open apertures don’t allow for as narrow depth of field or subject isolation, relative to the subject being the same size in the frame as an FX camera. D810 – perfect for hugely detailed prints but not suited to high speed. Birds in flight can especially be tricker because of the older focus system. D850 – high resolution, full frame for wider views and better depth of field. Offers cropping power for distant subjects, impressive speed and focus for action, plus excellent low light abilities. D5 – ideal for those whose shooting needs prioritise frequent low light and ultra fast action over high resolution and reach. 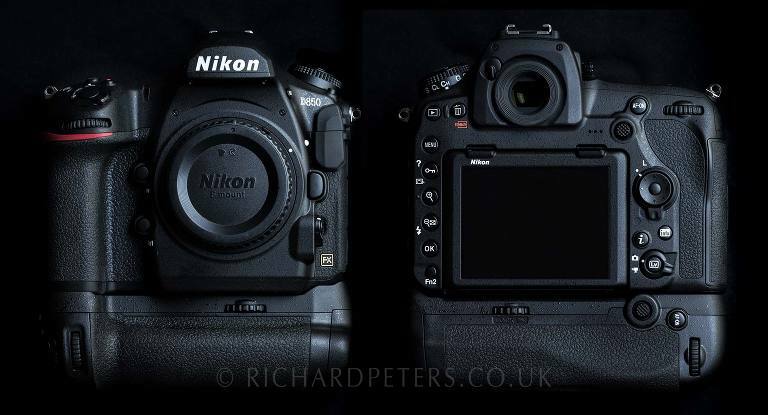 Looking at the above, it’s very clear Nikon have carefully structured their top 4 bodies. We now have features and price points to suit those who have specific needs and willing compromises. For those who don’t want compromise, the D850 trumps everything around. That is, aside from all but the most niche of wildlife shooting needs. You get the gist by now but I’ll wrap my review up by holding no punches…The D850 is the best camera I’ve ever owned. Period. It offers resolution, speed, power, focusing, ergonomics, high ISO performance, build and more. No other DSLR comes even close to offering such a complete, flexible and all round package. Whilst the D810 was my favourite camera, the D850 is my dream camera, exceeding my expectations and then some. It combines the very best parts of Nikons best cameras. Adds new features and, in doing so, unashamedly raises the bar in truly spectacular fashion. In fact, it offers a defining moment in the evolution of DSLRs.